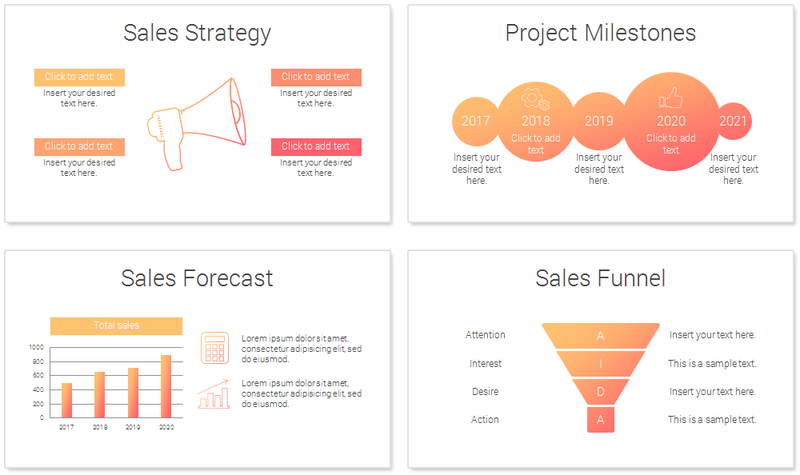 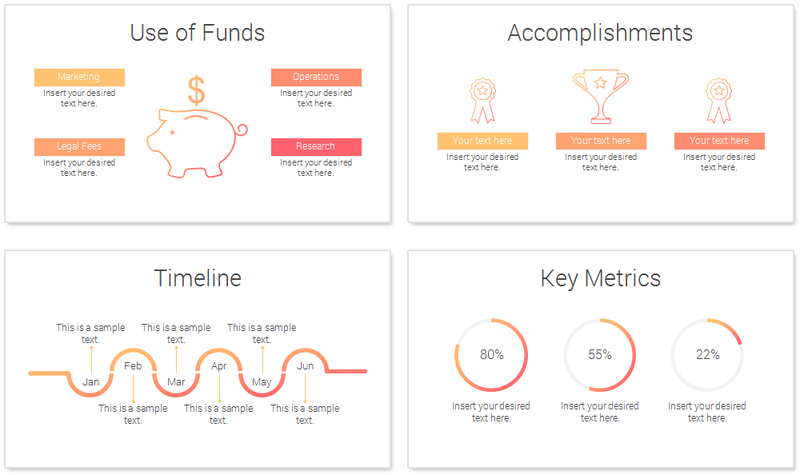 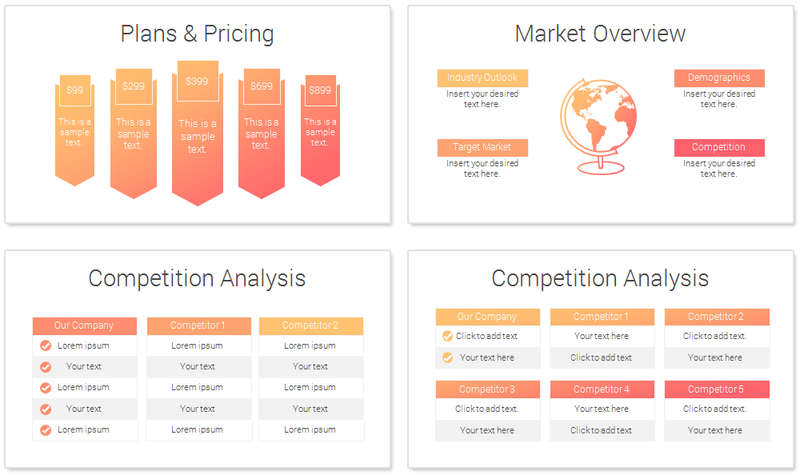 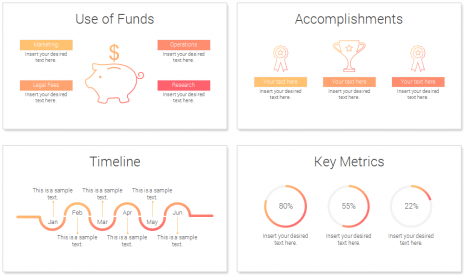 Pitch Deck PowerPoint template with 28 pre-designed slides. 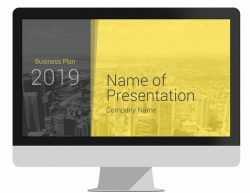 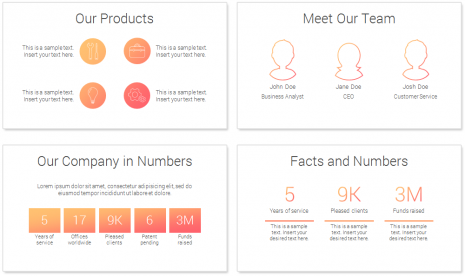 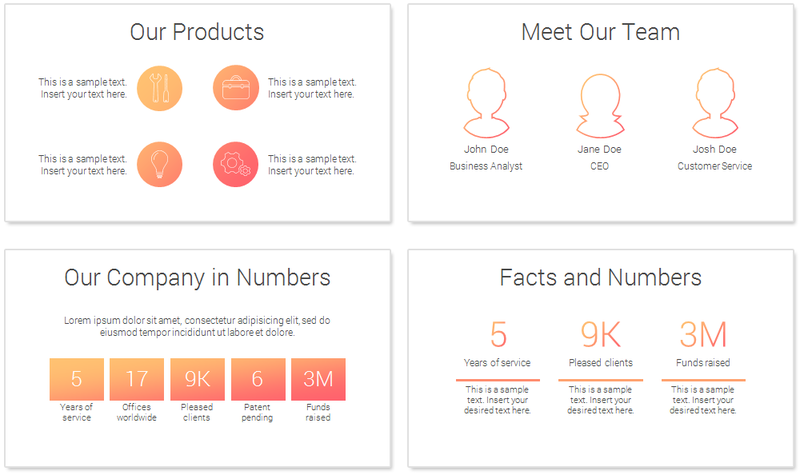 This is the perfect template to give a quick overview of your business to potential investors and partners. 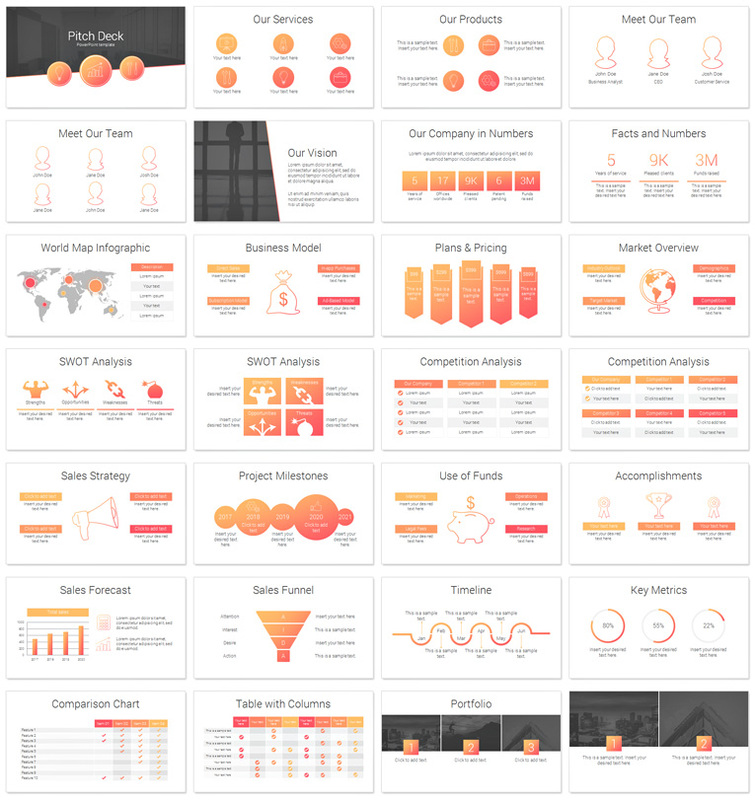 This deck includes all the slides you need; management team, product & services, vision, facts & numbers, business model, market overview, and more. Modern and clean, this template is fully editable and made with vector-based graphics. 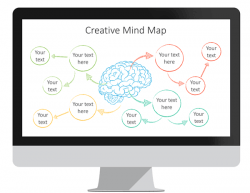 Change the entire presentation colors in one click simply by selecting a new theme color. 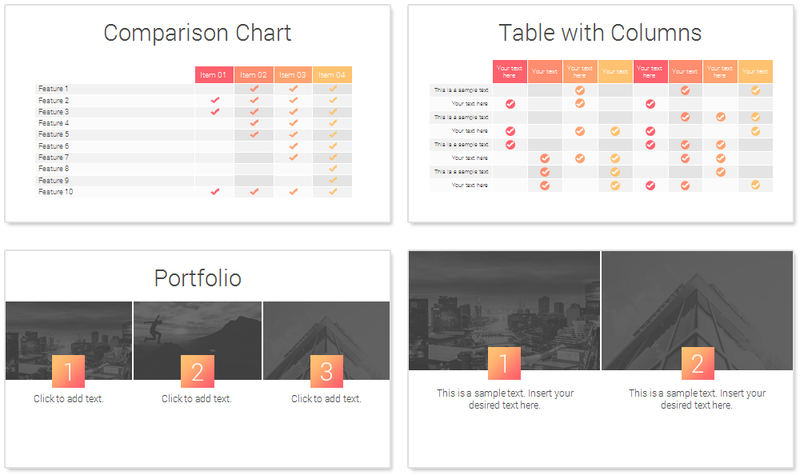 A blue version is also included in the download. 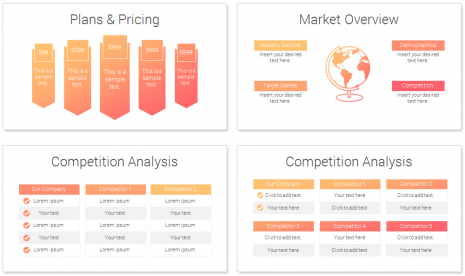 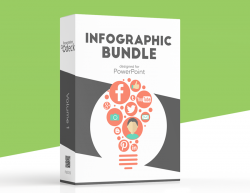 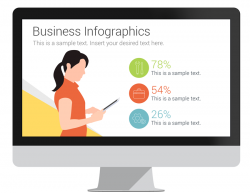 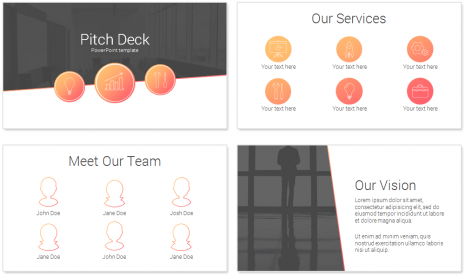 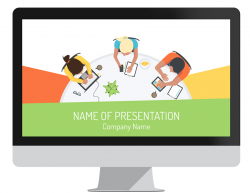 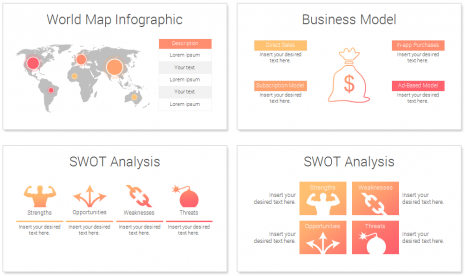 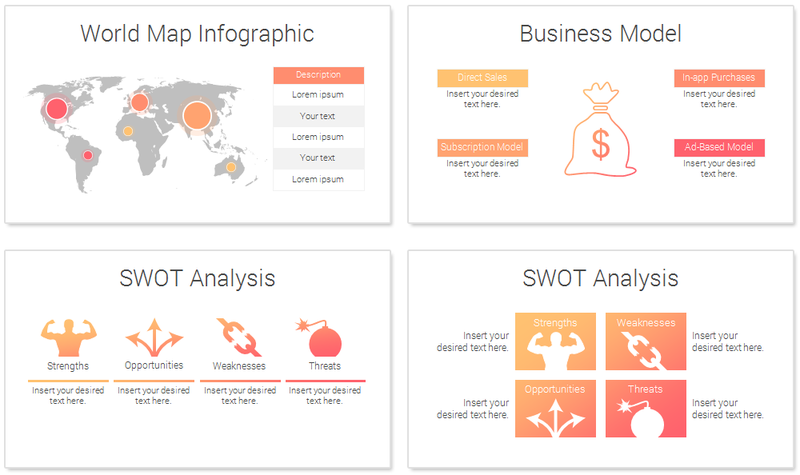 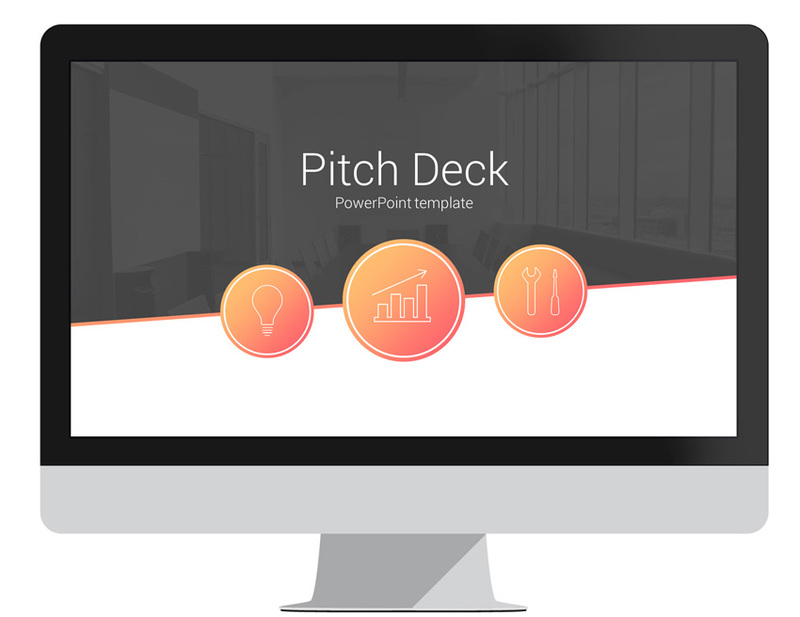 Energize your presentations today with this pitch deck template that sizzle!